OUR PRICE: $14.10 - Join Rewards Get $1 Dance Dollars On This Item! 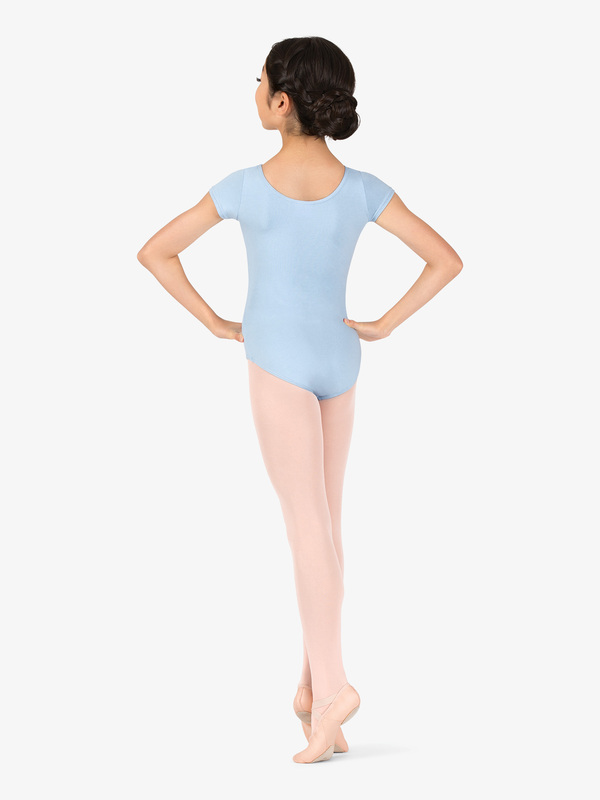 Capezio's "Classics Collection" short sleeve leotard features a basic scoop front and back. Children's leotards have full front lining. Ballet cut leg line. Machine washable. The Small fit my 34 lb, 4 year old like a glove, perfect for the moment but I expect she'll grow over the dance season, plus it was a bit restrictive when she lifts her arms and that's obviously no good for dancing. So we'll be sizing up to a medium. I have a very clothes sensitive daughter, and the feel of things is very important to her. She won't wear any leotard without sleeves, so I was very excited to find a wide array of colors offered in this soft cotton leotard. The sleeves are a little shorter than she prefers more cap sleeved than short sleeved, but she loves the soft cotton and the nice color choices. 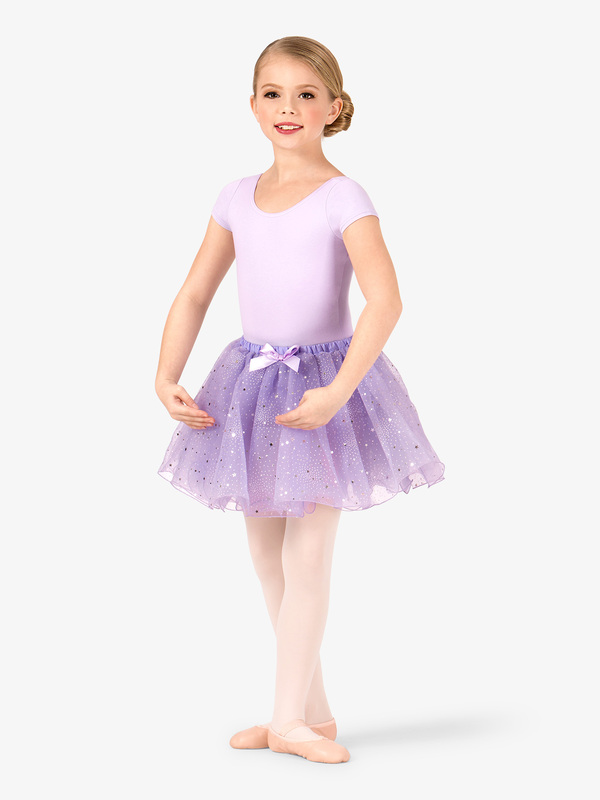 It runs quite a bit smaller than the short sleeve Bloch leotard, she is 7 and average sized, I bought the child medium which says 8-10, and there is no room for growth, but I do think the child large would still be way to big. She prefers the Bloch to the Capezio brand in the short sleeve leotard, but we're sticking with the Capezio because of the color choices. I bought this in lavender for my 4 year old daughter. It fits her well and she says its comfortable. I like that it is lined so it's not see through and it seems to be well made. I would recommend this leotard. 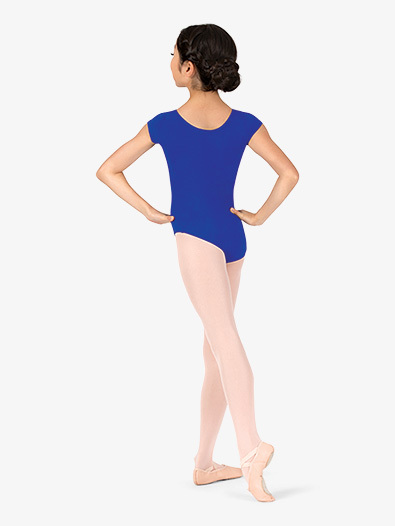 This is the third time we've purchased this leotard (second one in the royal blue)! My daughter says it is very comfortable. It does tend to run a tad small so you may want to order a size up. I wore Capezio dance wear 35 years ago, it was the diamond standard in my opinion. I am so glad to see that has not changed. The attention to all aspects of the short sleeve leotard are awesome. My little tiny dancer looks like a professional. great quality for the price, just tight and had to go up a size even after going by their size chart. I was looking for a good leotard for my daughter to wear and was hopeful on this one til we got it in the mail and I had her try it on. So sad. She is a "med" according to their size chart, but the leotard we got seemed more like a small not a medium. The sleeves came 1/2 way in on her shoulders and the length was way too short. Will have to return and I guess take her into the store to avoid anymore shipping charges. UGH. Nice basic leotard, but runs quite small (despite following size chart). 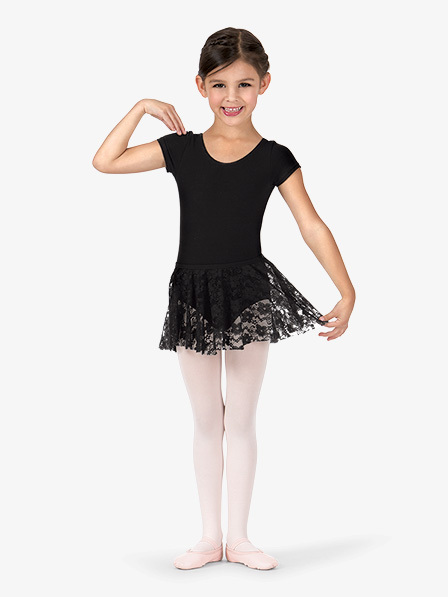 I am looking at several Capezio Leotards. Most of them say that the child sizes are fully lined. But then the fabric content does not say what the lining is made of. On another brand, the lining is either 100% polyester or 90% polyester. 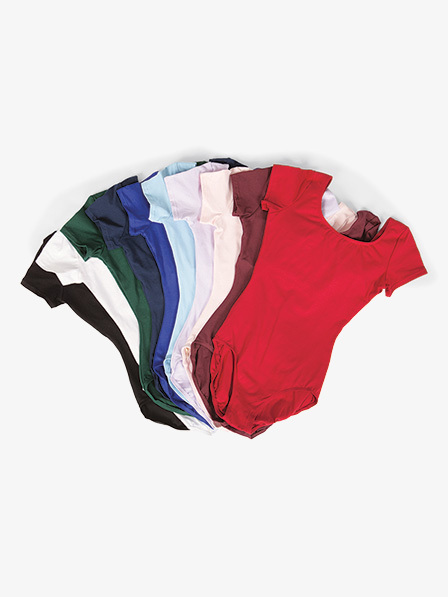 I am looking for a child size leotard that either is NOT lined and is made of a fabric with at least 90% cotton, or else one that is lined with a fabric that is at least 90% cotton. It is for my daughter who cannot actually wear polyester, so the higher the cotton content the better. But the product listing does not give the fabric content of the linings. Most liners are made of polyester. Please call customer service for more detailed assistance.